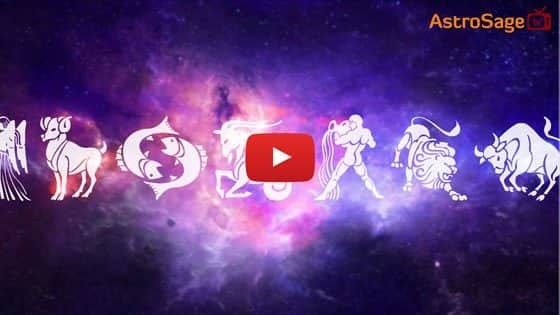 When Is Jyeshtha Amavasya In 2018? Jyeshtha Amavasya comes in Krishna Paksha of Jyeshtha month. Like every Amavasya, this Amavasya is also considered highly propitious for the peace of forefathers, which is done by performing religious activities, donation and Pind Daan (Tarpan). Shani Jayanti is also celebrated on this day, when people visit the temple of Lord Shani to worship him. This increases the importance of Jyeshtha Amavasya even more. Along with Shani Jayanti, women in North India perform Vat Savitri Vrat on this day for the long life of their husbands. Jyeshtha Amavasya is also known by the name of Vat Savitri Amavasya. ● For the peaceful afterlife of your forefathers, offer oblation to them and donate things to the poor. ● Women performing Vat Savitri Vrat should worship Lord Yama (Yamraj) on this day. Also, donate things (Daan-Dakshina) as per your heart’s desires. Lord Shani was born on Jyeshtha Amavasya as per ancient religious beliefs. In Vedic Astrology, he is the significator of Karma and deeds. Lord Shani (the son of Lord Surya) is among the nine planets in Hindu Astrology. As the planet moves at a very slow pace, so, Shani Dev is also known by the name of Shanaishchara. He is also called as the God of justice in Kalyuga and the Punisher (Dandadhikari) of bad Karma. He offers the fruit of whatever deeds one has done in his/her life. To please him and get his blessings, special rituals are performed by the people to worship the God on this day. An ancient story related to the birth of Shani Dev is very popular. According to this story, Lord Shani is the son of Sun God and his wife Chhaya. Surya Dev, or Lord Sun, was married to Sangya and was blessed with three children; Manu, Yama and Yamuna. After their marriage, Sangya lived with Surya Dev for some years, but was not been able to bear the light (Tej) of the Sun. Therefore, she left her shadow (Chhaya) to serve Sun God. After some time, Chhaya gave birth to Shani Dev. However, when Lord Sun got to know that Chhaya is not actually Sangya, he got angry and refused to accept Lord Shani as his son. Since then, Shani and Surya dislikes each other, in spite of being father and son. This is the main festival of married women, however, girls and widows can also perform Vat Savitri Vrat. The rituals for the fast are performed on Jyeshtha Amavasya. On this day, women worship Vat Vriksha (Banyan Tree) for the long life of their husbands and to remain fortunate and blessed with a happy married life. Satyavan-Savitri are also worshipped along with Lord Yamraj on this day.